After almost four years of searching, ASP has found the right lady to fit the green shoes of its Executive Director. There was no need to look far and wide. It was all just a matter of timing. ASP National Past President (2012-2014) Mary Janette "Tita Jan" Peña started overseeing the society’s operations last 1 September 2017. Tita Jan is often called “Gobernadora” by ASP leaders. After becoming the founding chapter president of ASP Bacoor in 2006, Jan proceeded to building thirteen more chapters in Cavite province from 2007 to 2016. By 2008, the Gobernadora pursued chapter building outside of Cavite province, and was instrumental in forming 21 more chapters nationwide. In between chapter building, Jan also served as Board Trustee of ASP National From 2008 to 2016. She is also concurrently the chapter president of ASP Dasmariñas. 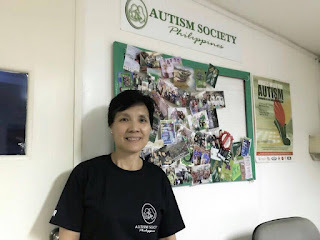 Jan’s chapter building efforts contributed to increased public awareness on autism in Cavite province and in March 2011, she was chosen as Woman of the Year of Dasmariñas City. In September 2015, Jan and her family were conferred the 2015 Jollibee Family Values Award for their exceptional contribution to the empowerment of Filipinos with autism. An effective resource speaker and facilitator for autism-related seminars for both private and public sector, Jan is backed by years of experience in teaching and training. She graduated with a degree in Psychology in UP, Diliman, and had started her master’s degree in Educational Management at Dela Salle University. She had been a high school and grade school teacher before becoming an instructional trainer and supervisor at the Philippine Refugee Processing Center in Morong, Bataan and a technical trainer for the US Peace Corps Philippines education program. 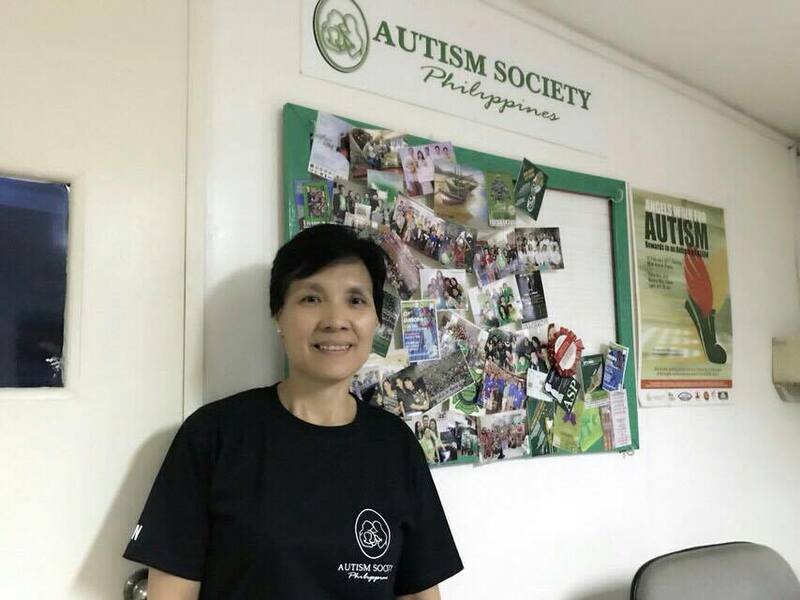 Tita Jan will be reporting the ASP National Board, headed by ASP National President Mona Magno-Veluz and will working with them on partnerships with government and the private sector, on chapter building and empowerment and on programs that will meet the ever-changing needs of the autism community. She will also be supported by the ASP Secretariat -- Cenin Faderogao, Abby Mendoza, Carla Banang, Lloyd Ngo, Paolo Guzman, Danmar Dayao and Christian Ambion. Our new Executive Director comes with her own personal assistant! Her son Muneer, a newly-minted NC II barista with autism, is now a full-time volunteer at ASP, immersed in encoding and library work.